Chaotic: Shadow Warriors combines action, role playing and turn-based strategy gameplay elements for an epic adventure in Perim, the stunning Chaotic world. You will adventure through vibrant, fully-realized 3D environments and interact with various characters from the best-selling trading card game and hit animated series. You will build and manage your own army of Chaotic creatures while fighting enemies, collecting battlegear and unlocking new mugic spells and attacks. 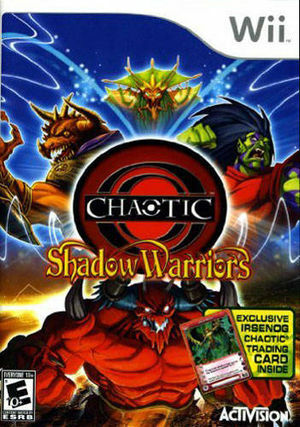 The Chaotic video game features dramatic tactical battles, a variety of captivating gameplay modes, as well as powerful upgrades and valuable unlockables. The graph below charts the compatibility with Chaotic: Shadow Warriors since Dolphin's 2.0 release, listing revisions only where a compatibility change occurred. This page was last edited on 23 October 2017, at 19:06.